Do Animals Have Culture? : 13.7: Cosmos And Culture Being an astrophysicist, I didn't have the slightest clue about the answer, says Adam Frank, but — lucky for us all — 13.7's own Barbara J. King has spent a lot of time studying just this question. Last week, I watched in awe as a river of crows made their way across the evening sky toward their roosts south of my house. Listening to the cacophony of their cries, I found myself with a simple question — is what I'm seeing just instinct or do these crows have their own culture? In fact, do any animals have culture in the same sense we do? Adam: So, let's begin with a VERY important question since we are both from New Jersey. What is your favorite Bruce Springsteen album? After that we can get to the less critical issue of whether animals have culture. Barbara: "Born To Run" came out when I was in college, and that's when I fell hard for Bruce and the band, so that album will always have a special place in my heart. From student days to retirement now from university teaching, Springsteen's music has lit up my life always. Adam: I agree that "Born to Run" is a life altering experience — but I didn't discover Springsteen 'til high school when "Darkness on the Edge of Town" came out. It totally spoke to my overblown teenage anger and hope about the world. Still, I think my favorite album may be the first "Greetings from Asbury Park." The storytelling on songs like "Spirit in the Night" has been a constant source of joy even in dark times. So, as for whether animals have culture — it's a big topic. Let me narrow it down to ask to if animals create more than "instinct" allows? 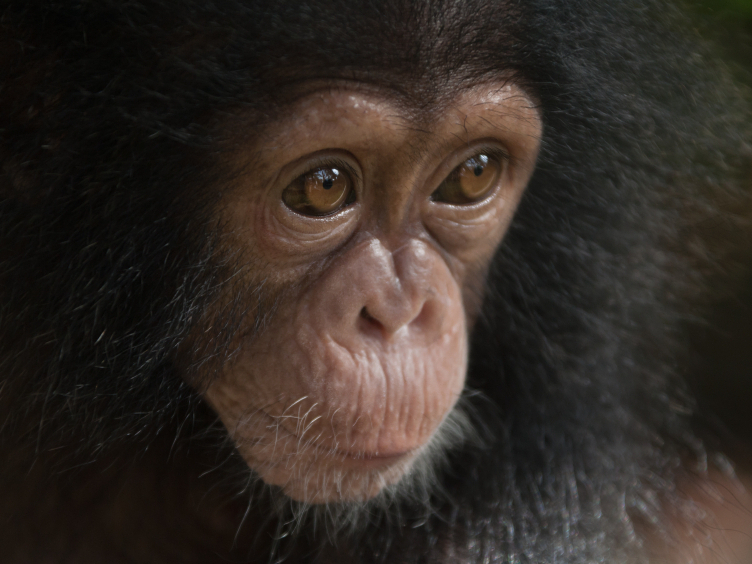 Barbara: It's widely known by now that chimpanzees in West Africa crack open hard-shelled nuts with rock and stone hammers to extract the delicious protein inside, and that chimpanzees in East Africa don't. These East African chimpanzees COULD do it — they're smart enough, they have the materials at hand. It's just not their way. Similarly, chimpanzees in some places groom each other by clasping hands high above their heads. Others don't. Why? It's not in their genes and it's not determined by their environments. It's just what these apes learn to do from watching their elders. That's culture — at least that's one, arguable definition of culture. Adam: So about animal culture, you're saying that the West African chimps do this thing (rock hammering) that the East African chimps don't. Since they both are pretty much genetically the same, it's not different genes which establish these different behaviors but different chimp cultures. 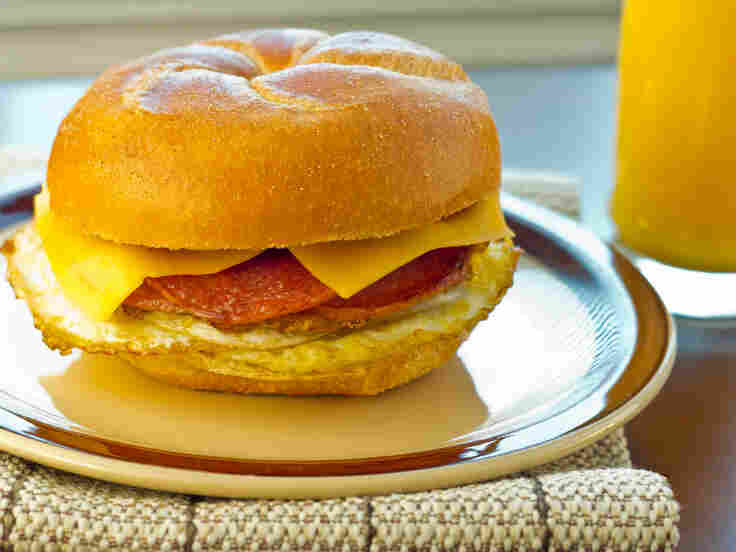 Is this kind of like the fact that you can get a "pork roll" at the Jersey Shore (yum!) but nobody anywhere else in the country seems to offer it? So how deep does it go? Is there animal art and dance? Also is it only our close cousins that have this kind of culture? Just in case anyone is wondering what a New Jersey pork roll sandwich looks like. Barbara: Well, it may not be CULTURE per se, but surely it's a CULTURAL RESPONSE for you as a New Jerseyan to say "yum" for a pork roll and for me as a New Jerseyan to say "er, no thanks!" — our two divergent desires here to consume or not consume pigs is not dictated either by our genes or features of our habitats. They emerge instead from a whole tangle of factors ranging from our family traditions to our individual comfort with eating other mammals and much more. I think you're on to something by asking about art and dance: I know of very cool examples of quite beautiful painting, knot-tying, and rhythmic behavior by captive apes that clearly reflects an ability to express themselves creatively. But is that culture? Wouldn't we need to find out whether a group of apes shares, and passes down, a tradition of art or dance, rather than only citing isolated examples? That's not a rhetorical question, by the way, I'd like to know what you think, because it seems to me culture is bound up with population-level (not only individual-level) behavior: Culture is co-created and linked to shared identity. And not just in apes! Humpback whales, for instance, not only learn how to sing from other individuals in their communities, whole populations also shift songs at once in precise, structured and patterned ways that tell us it's a cultural process. Adam: Well, for a host of reasons these days I live between semi-vegetarianism and eating fish. But I gotta tell ya, if someone offered me a Jersey shore pork roll I don't think I could refuse. Lots 'o memories there since, back in the day, pork roll, pizza and beer was our breakfast of champions at Seaside. That was certainly one form of culture. So your question about the co-creation of culture with other members of one's group is the killer app in this discussion. It seems like, for human beings, culture has almost entirely hijacked evolution from natural selection (in the usual definition of the word). Perhaps that can only happen because we've co-created such broad and rich cultural structures like religions, systems of law and systems of myth. So, in some ways it seems like culture represents information about possible behaviors in the world that are not stored genetically. Over time, humans have been creating ever more information-rich cultures and, in the process, creating ever-richer structures to store that information (everything from writing to art to flash drives). So we are really good at co-creating and passing those creations down in ways that shape our evolution (i.e. who mates with whom). OK, here is my final question for now: Is it a continuum from other animals to Homo sapiens in terms of culture — or do we represent a big discontinuous jump? Barbara: Right, I agree culture is a huge factor of course, yet on the other hand all we have to do is look at emerging diseases (from Ebola to Zika) and the really concerning situation of global antibiotic resistance to see that, along with our cultural choices, natural selection and other evolutionary forces still affect us very strongly. In the end, I always come down on the side of the continuum. The wielding of "the A word" — anthropomorphism or the projection of human qualities onto other animals — still happens sometimes in response to my work on animal emotion and, certainly, it shows up the comments section here at 13.7! But just as I respond, well, love and grief aren't HUMAN emotions, we don't own them, I also say that culture isn't a HUMAN way of meaning making, we don't own it. We "do culture" differently to be sure, but the continuum is there. Thanks for this exchange Adam, it's been fun. And here's an answer to a question you didn't ask: My favorite-ever Springsteen song is "Land of Hope and Dreams," live, played at top volume! Adam: Thank you, Barbara! Rather than pick a favorite song, I'll just close by saying "BRUUUUUCE!" Barbara J. King is an anthropology professor at the College of William and Mary. She often writes about human evolution, primate behavior and the cognition and emotion of animals. Barbara's most recent book on animals is titled How Animals Grieve. You can keep up with her on Twitter: @bjkingape.